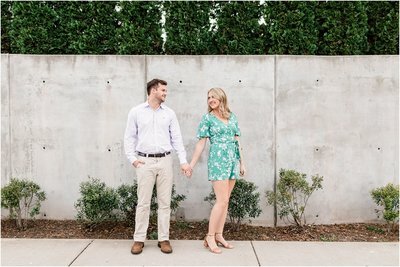 The new area of Livingston, Mississippi (just outside of Madison) served as the location for Casey & Alex’s engagement session. While the buildings are cute, I thought it was more fitting to shoot near the water and trees. Alex is really into all things nature, so this was such a great setting for him. Casey is an artist and art teacher, so she used her talents to make a few signs for their save the dates. It was a great day (even though it was unusually chilly for Mississippi in April) and they were such troopers! I’m looking forward to their October wedding later this year!